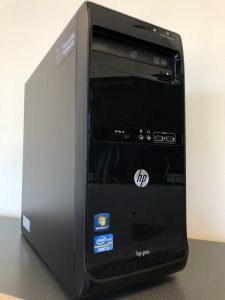 ISCAdigital currently have this HP Pro 3400 Desktop PC for sale at just £200 inc VAT! This PC comes equipped with an i3 processor, 4GB RAM and a 120GB Solid State drive making it an ideal all-round PC perfectly capable of all your day-to-day tasks. This PC comes installed with Windows 10 pro, and we can transfer any files and documents from your old PC / laptop should you need it, all within the price. With DVI and VGA outputs it is compatible with most monitors, but should you require one we have a number of second-user monitors which can be purchased with this PC for an additional £40 inc VAT each. The amount of RAM and size of SSD are both upgradeable if required. Please get in touch for costs. All of our refurbs come with a 3 month warranty from ISCAdigital. We also transfer any data from your old computer where applicable at no additional cost. 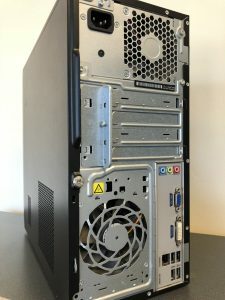 If you would like any further details regarding any of our refurbished computers, please get in touch by phone or email, or come and see us in the shop!